Got a long stopover planned as part of your next travel adventure? Nowadays the airport is your oyster when it comes to layovers with countless activities available to the bored traveller. From enjoying an IMAX movie in Hong Kong to perfecting your downward dog at a yoga class in Dubai and checking out ancient Greek ruins in Athens, there are many ways to kill time at the airport. Haggling is a fine art at Istanbul‘s bustling Grand Bazaar, but luckily for novice travellers who are just passing through, there’s a convenient way to explore the city with no need to break out your bargaining tools. Those with a layover of at least six hours at Istanbul Atatürk Airport can bag a city tour free of charge. Just register in advance with Touristanbul (best name ever) and you’ll be spirited to some of the best-known attractions in Turkey‘s biggest city. 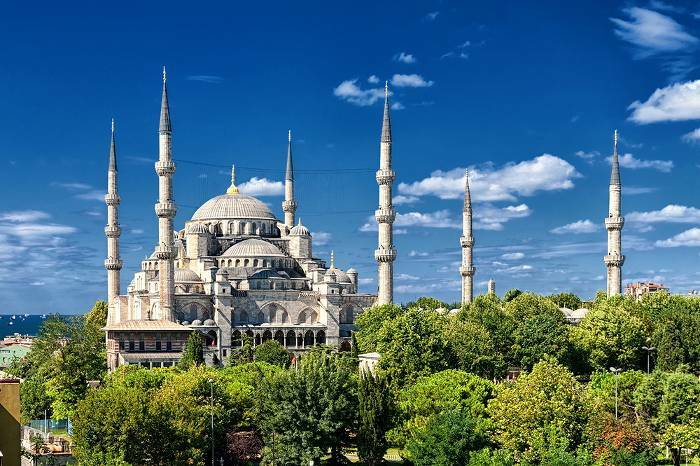 Sights include the stunning Blue Mosque, Topkapi Palace – a UNESCO World Heritage Site – and the sixth-century Basilica Cistern, an ancient monument hidden beneath the city. Seoul‘s Incheon Airport pulls out all the stops when it comes to entertaining passengers, with airport attractions ranging from a driving range to a skating rink. And should you wish to explore your wider surroundings, they have that covered too. There’s a wide variety of free tours available depending on the length of your stopover, so just head for the Transit Tour desk and take your pick. Only one hour to spare? 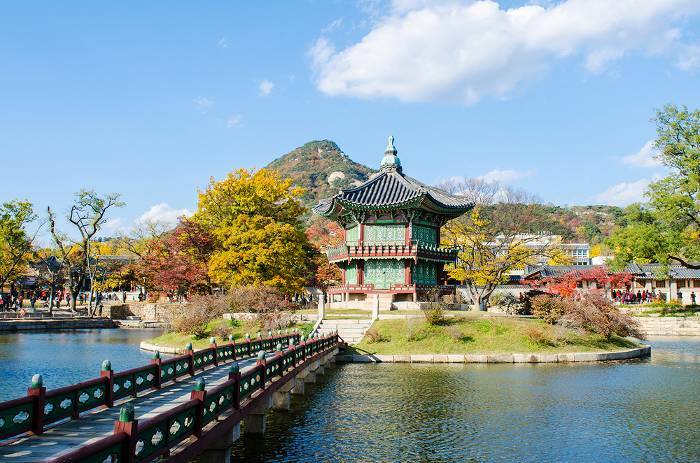 Immerse yourself in Buddhist culture on a whistle-stop trip to the Yonggungsa Temple. If you have more time on your hands, choose between Temple, Culture and Shopping tours to get the most out of your time in the capital. Singapore Changi Airport is a bored traveller’s dream, with everything from cinemas to a nature trail to break up the tedium between flights. But if you have over five hours to spare, you can be whisked away on a two-hour tour of this vibrant city-state – absolutely free! Pop along to the Free Singapore Tour booth (Terminals 2 and 3) and set off on either the Heritage (daytime) or the City Lights (nighttime) tour. 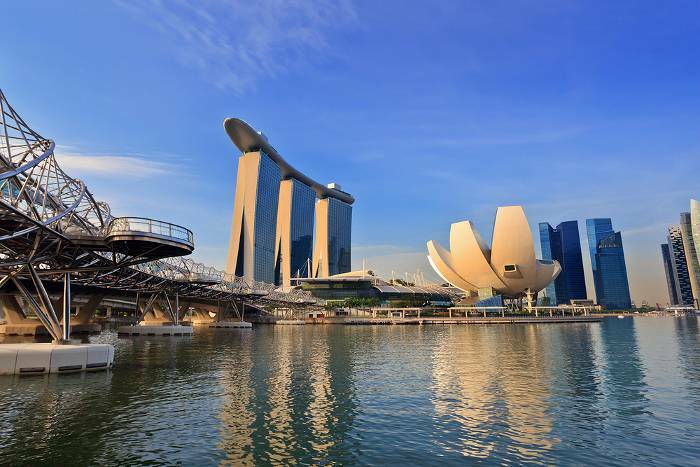 The Heritage tour takes in iconic sights like the Singapore Flyer observation wheel, Chinatown and Little India, while the City Lights tour does what it says on the tin, showcasing hotspots such as Marina Bay and Raffles Hotel. If you can tear yourself away from the riot of pink sparkles that is the Hello Kitty lounge at Taipei International Airport, we’d recommend you head to the Tourist Service Centre (located in Arrivals) and sign yourself up for a free bus tour of the city. 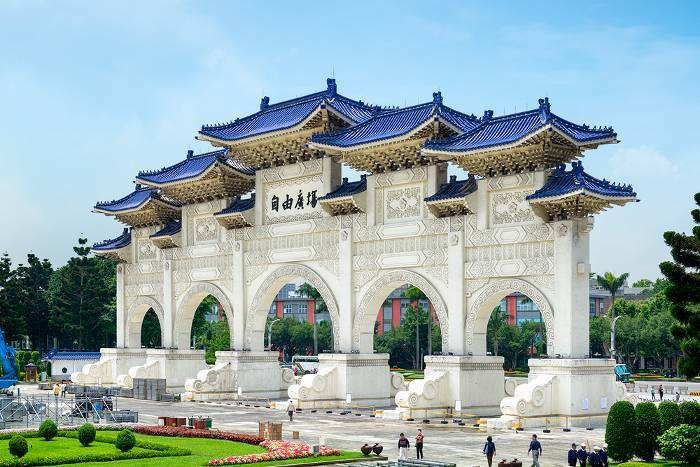 Tours depart at 8am and 1pm and take you on a jaunt to the city’s most famous sights, including the Zushih Temple with its intricately carved bronze pillars, the Chiang Kai-shek Memorial surrounded by 25 hectares of landscaped gardens and ponds, and the Ming dynasty Martyrs’ Shrine. Remember, tours are first-come, first-served, so make sure not to dilly-dally on disembarking your flight. A rejuvenating Thai massage between flights at Suvarnabhumi Airport would be hard to pass up, but we’d forego it for a chance to get a whistle-stop taste of Bangkok‘s legendary culture. 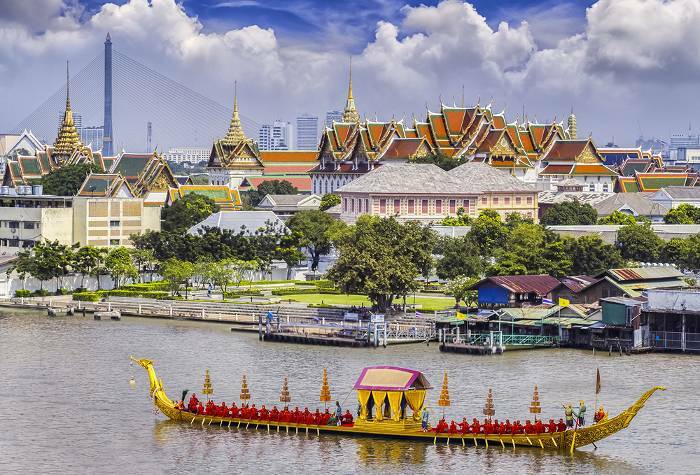 If your stopover is between four and six hours you can take a tour of the capital’s iconic sights including the Grand Palace and temples such as Wat Pho and Wat Arun, rounded off with a boat trip down the Chao Phraya River. If you’re stopping over for seven hours or more, the longer tour includes all of the above, plus time for some mega-mall retail therapy, after-dark visits to cabaret bars and even a spa treatment. Book in advance for the best rates. How could you pass up the chance to cross the last remaining Ancient Wonder of the World off your bucket list? If passing through Cairo you can do just that as the Great Pyramids sit just 20 miles from the airport, in which you’ll find plenty of tour companies ready and willing to show you the sights. You can book on the day, but we recommend you shop around ahead of time to compare itineries and prices. 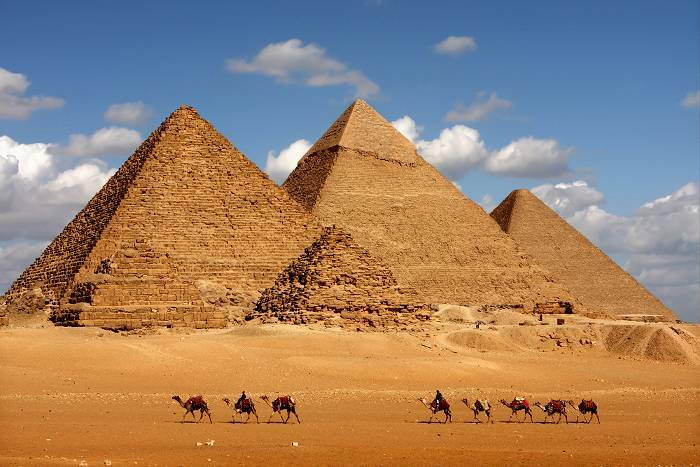 Tours vary, but beyond the Great Pyramids typical stops also include the Great Sphinx, Cairo’s old bazaar Khan el Kahlili and the Egyptian Museum, containing the largest collection of Egyptian art in the world with over 250,000 artefacts. Aside from the IMAX, Hong Kong‘s main airport also counts among its amenities a shark conservation exhibition and a nine-hole golf course – it’s almost a tourist attraction in itself. Still, we’d pass it all up for a chance to visit the city, and there’s even a choice of tours available. The HK Island Orientation takes in the Peak, overlooking the city’s famous skyline and harbour, followed by a scenic coastal drive along Deep Water Bay and Repulse Bay and a stop-off at Stanley village. 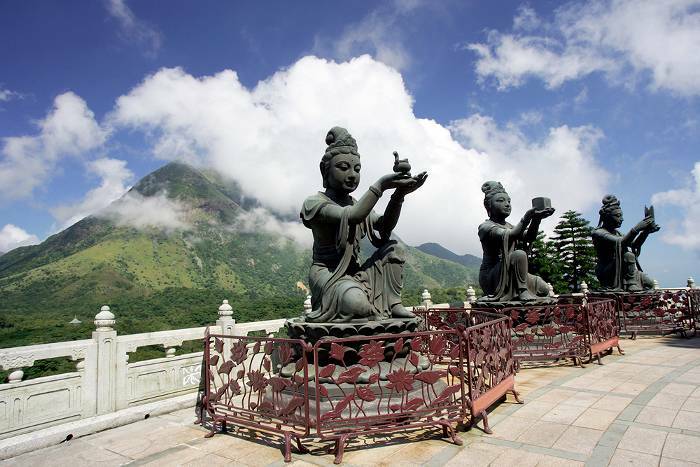 Or, the Lantau and Monastery tour whisks you to – you guessed it – Lantau Island with its majestic, bronze Buddha statue and the colourful Po Lin Monastery. Munich Airport sits just a 45-minute train ride from the city centre, so make the most of your stopover and grab a taste of Bavarian culture. The airport doesn’t run an official tour but offers information to download with plenty of tips on what to see. What’s more, their guide contains vouchers that’ll get you discounted entry to a host of attractions. Don’t miss bustling Marienplatz and the Alter Peter church tower, offering spectacular city views. 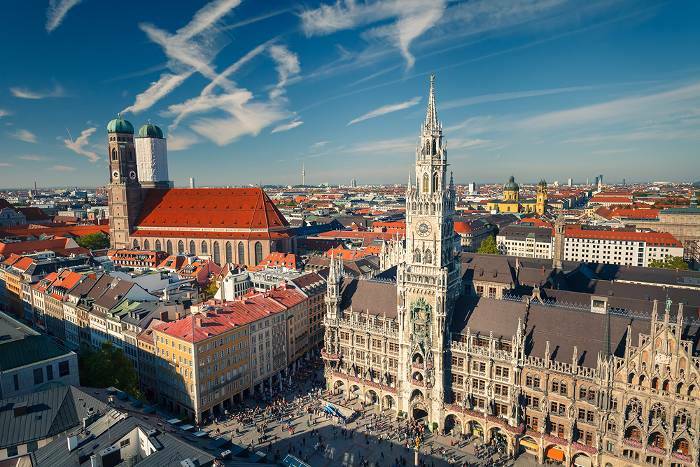 And no Munich tour would be complete without a visit to the Hofbräuhaus – arguably the world’s most famous beer hall – serving up lashings of Bavarian beer, local dishes and traditional live music. Who could resist pounding the star-studded streets of Tinseltown when passing through LAX? 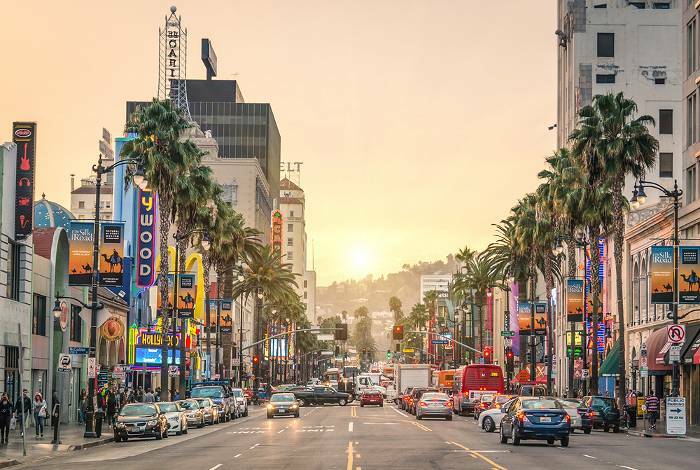 LA CityTours offer a range of tours including an all-day Layover Tour that’ll collect you from the airport at 9am and introduce you to all the thrills and spills Los Angeles has to offer. If you love a bit of celeb spotting, opt for the Movie Star Home tour, on which you’ll also check out the Hollywood Walk of Fame and can snap a selfie in front of the Hollywood sign. If you’d rather top up your tan in between flights, take the Beaches tour and bronze yourself on buzzing Venice Beach or hipster-vibey Hermosa Beach before taking a stroll down Santa Monica Pier. 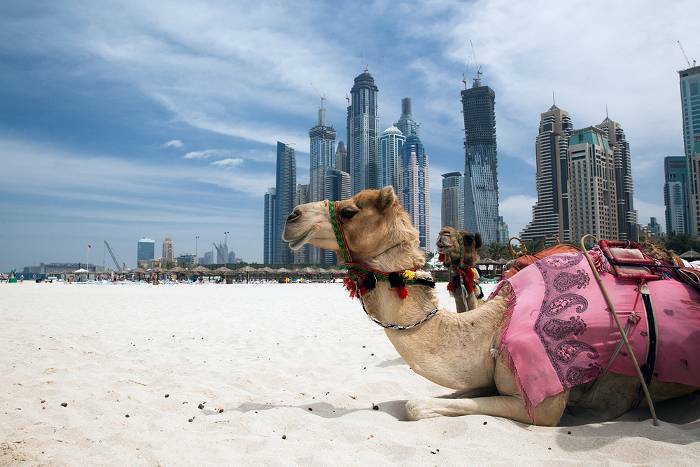 Dubai is a city that doesn’t do things by halves, crammed with sights that are big, bold and most likely dripping in gold, and simply have to be seen to be believed. And if you have several hours to kill at the airport you can do just that by booking yourself on one of the many layover tours on offer. Itineraries range from the super quick – an hour-long boat tour of the Dubai Marina – right up to overnight safari tours. Our picks include the Shopping Tour, taking in the spice and gold souks and the supersized malls, and the Afternoon Safari tour, complete with a camel ride, a barbecue and a belly dancing show – all in just six hours.